It's always busy at this garage! Oh no - a car has broken down! Quick, use the tow truck to haul it back to the LEGO® Ville garage. Help the mechanic by using the child-safe screwdriver and wrench to remove and fix the wheels and engine! 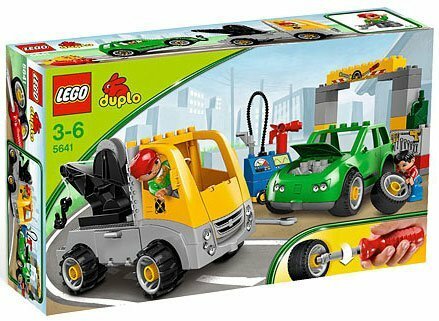 LEGO DUPLO® pieces are colorful, safe and sturdy for small hands.